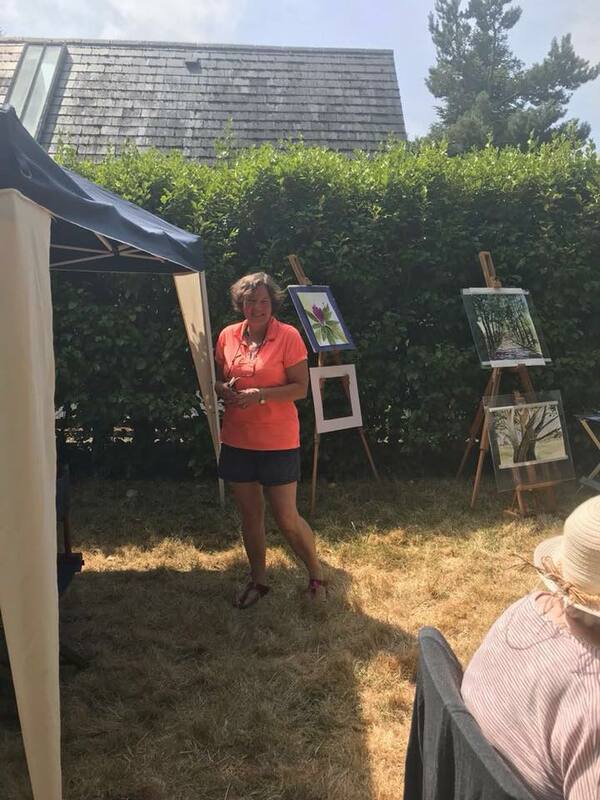 We had a fantastic few days of sun at Hyde Park Country House, Inch, Gorey in July 2018 for the annual summer watercolour workshops incorporating great food. Each workshop lasted a full day and included a cooked meal with a Mediterranean theme! Well done all the artists and beginners would came, saw and sampled the workshop! Fingers crossed for a repeat of the good weather for 2019! I have been painting, exhibiting and selling watercolours for more than 30 years, my roots are in West Cork, Ireland I am a registered full-time artist and considered a 'true' watercolour artist. I have been told that my style echoes the soft textures of the Irish landscape and my seascapes capture the rawness of the coastline. ....In a review on my work I was described as ...."An artist completely in touch with her chosen medium of watercolour , she specialises in sensuous Impressionist landscapes and nature paintings. And what compositions they are! Who can fail to be aroused by her pictures of tangy lemons, or the shimmering heat of an afternoon in Provence? After more than 30 years experience of watercolours, such is her skill at capturing the right colour, and sense of movement (or stillness), that one feels she must have painted all her works en-plein-air".